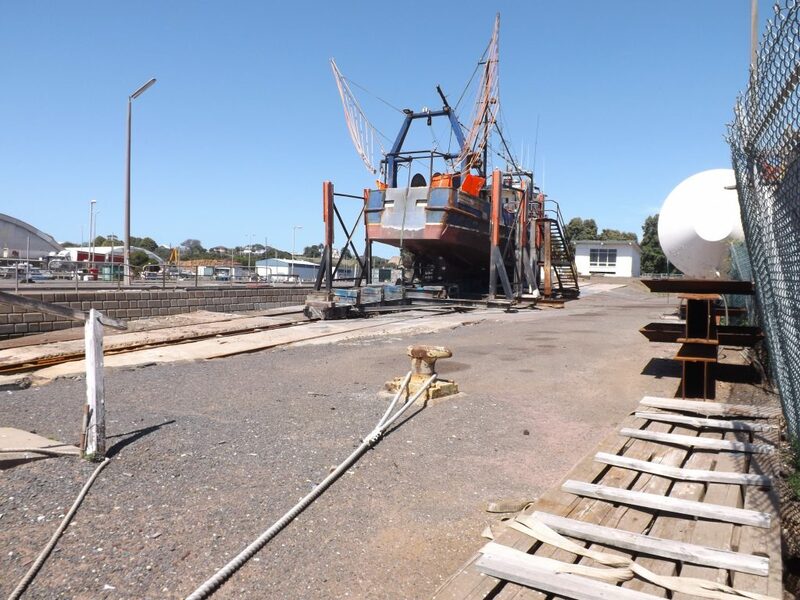 The Port dates back to 1800 when Lieutenant James Grant sailed the Lady Nelson into what he named Portland Bay, which became Victoria’s first settlement in 1834. 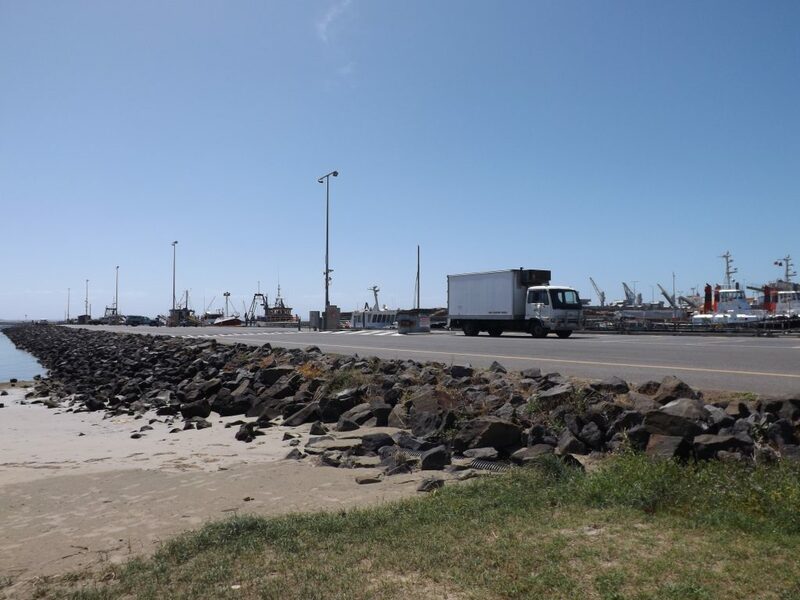 From then on the Port played a pivotal role in the economic prosperity of the region. In 1945 the Victorian Public Works Committee recommended the Port be upgraded to help develop Western Victoria. It was officially opened in November 1960 and privatised in 1996. In the coming decade, strong economic growth is expected in the Green Triangle Region and beyond. Much of the growth will be generated by harvesting of hardwood plantations. 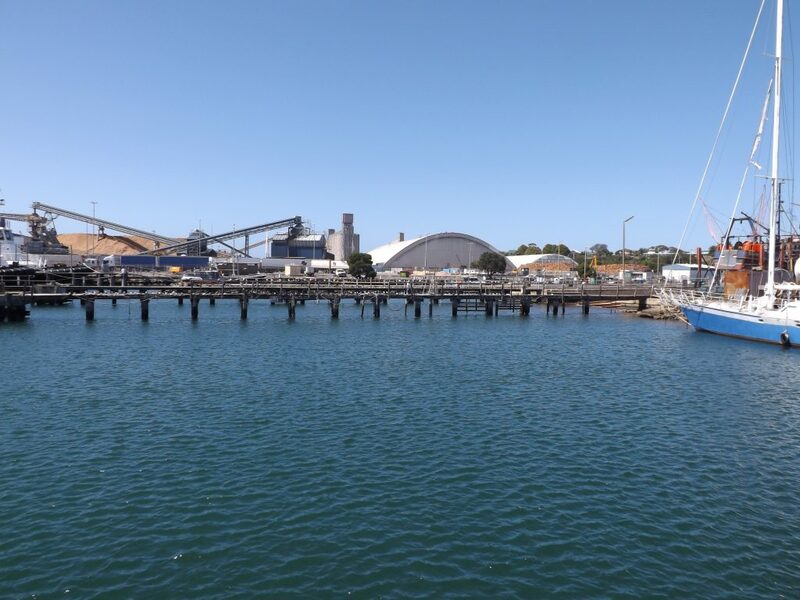 Other commodities that will pass through the Port will include smelter products ,grains, fertilisers and a range of pulp ,pitch and livestock. Mineral sand is another export earner for the region. One of the Ports greatest strengths is its diversity of commodities, catering for the export of grains, logs, woodchips, mineral & livestock and the imports of fertiliser, minerals and wind blades. Berth utilisation cannot be maximised due to loading constraints owing to specific equipment, particularly ship loaders and conveyors, required to handle specific commodities to and from ships. Flexibility in berth usage is sort to optimise the flow of commodities through the Port. The S. L. Patterson berth will be used to free up time on the busiest berths, therefore requiring intermittent closure from the tidal station gate on wards. From a safety prospective, access to the public is restricted when activity is occurring. Gates are re-opened when the area is considered safe. 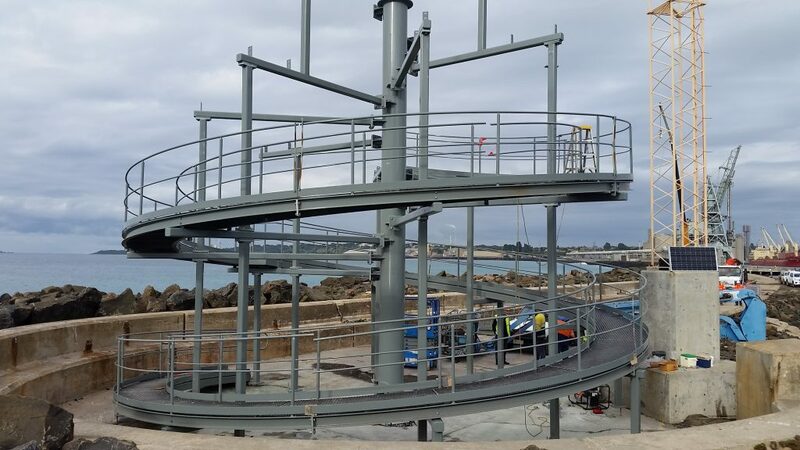 The original Corkscrew was built as a gift to the Portland Harbour Trust by the contractors who constructed the port. 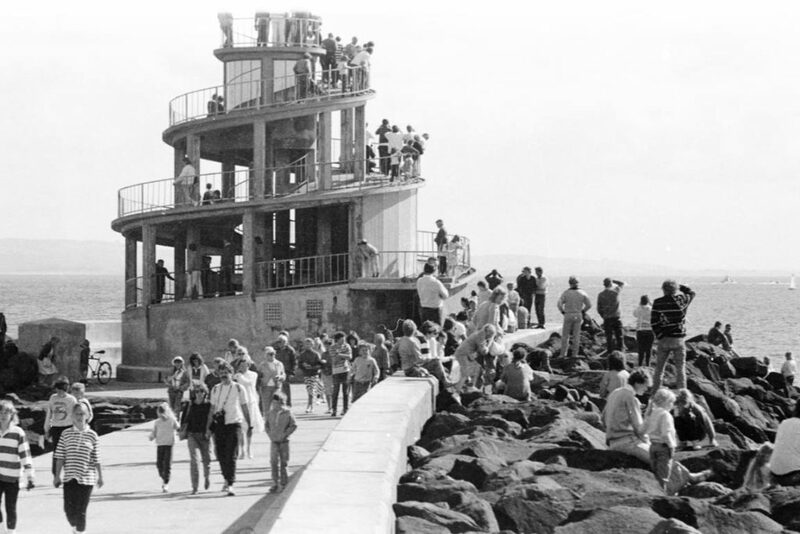 It as designed in 1960 and constructed shortly after the completion of the Main Breakwater. 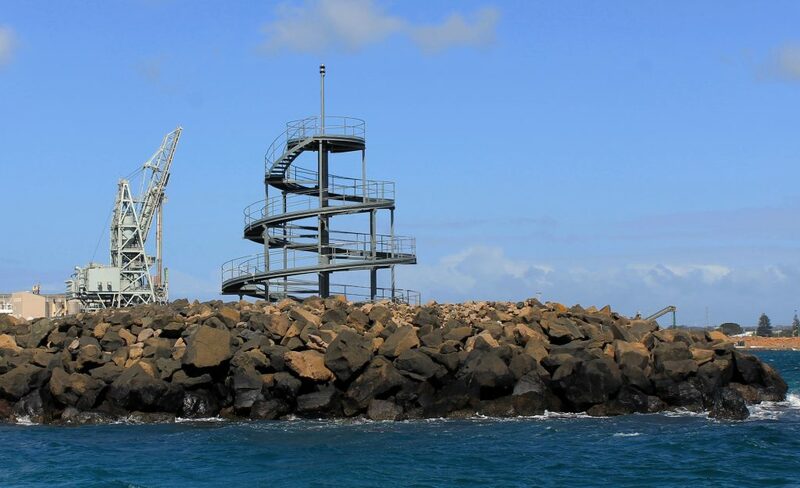 Located at the head of the Main Breakwater, the shape of the structure has made the Corkscrew a backdrop to the Port since its opening and a feature of many historical photographs of the port and town. The corkscrew was built as an observatory, with the observation deck approximately 13 metres above sea level. The decision to replace the Corkscrew. The Corkscrew’s original design life was less than 25 years. The original structure was dilapidated, extremely unsafe and in danger of collapse. This meant that it could not be safely or effectively repaired. Understanding the historical and community importance of the original structure, in 2016 Port of Portland began the process of designing and building a replacement. The new Corkscrew is a similar size and has been based on the same spiral shape of the original structure. 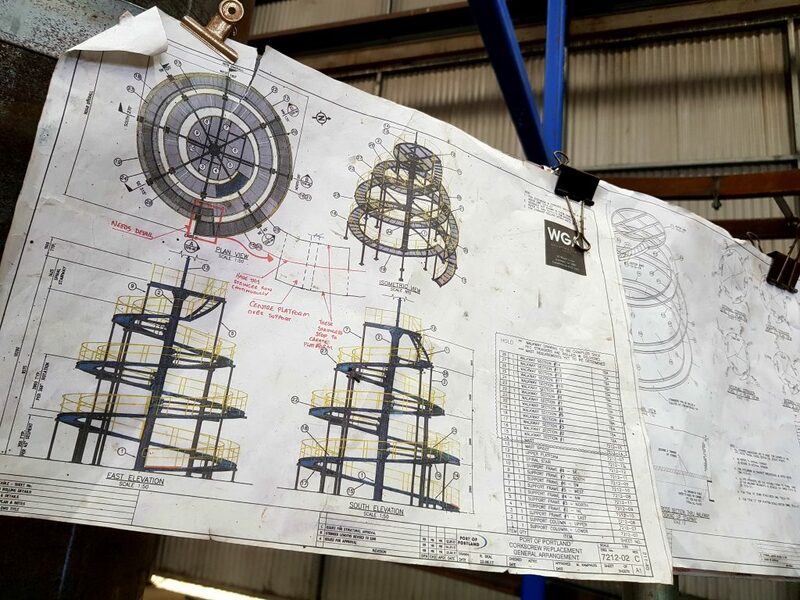 The Corkscrew has been constructed using mild steel, heavily coated in marine grade paint ( similar to what is used on ships). Heavy duty plastic has been used for the walkway sections which will withstand the harsh elements of the marine environment. Fun Fact; It is 84.2 metres from the bottom outside handrail to the top of the observation deck. Today’s Corkscrew has been designed by local infrastructure designer Richard Beel and Gilbert and Aztec Engineers. It was fabricated and erected by local firm Fechner Engineering. 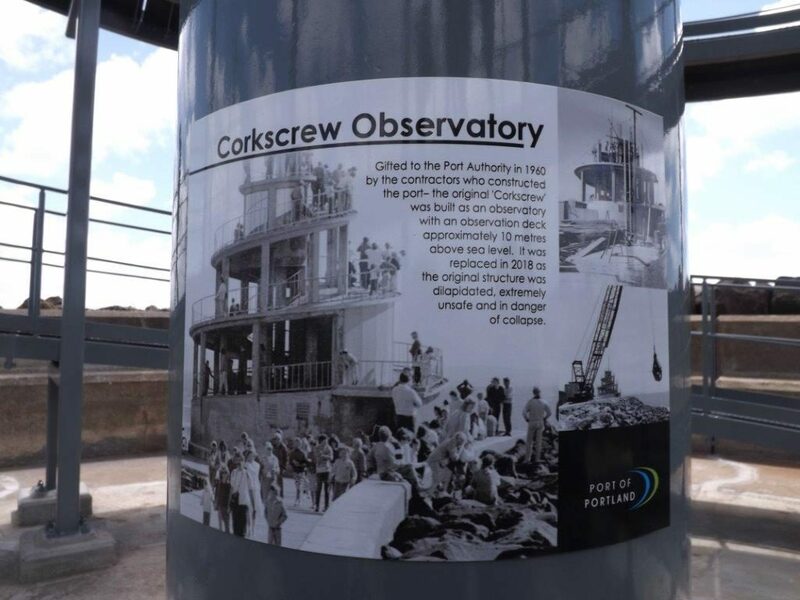 Port of Portland values the Corkscrew and its heritage value to the community. It will continue to be a much loved landmark in Portland well into the future. There are four export wood chip storage areas on the Port. Three open air stockpiles consisting of one softwood chip stockpile and two hardwood chip stockpiles, and one undercover softwood stockpile. 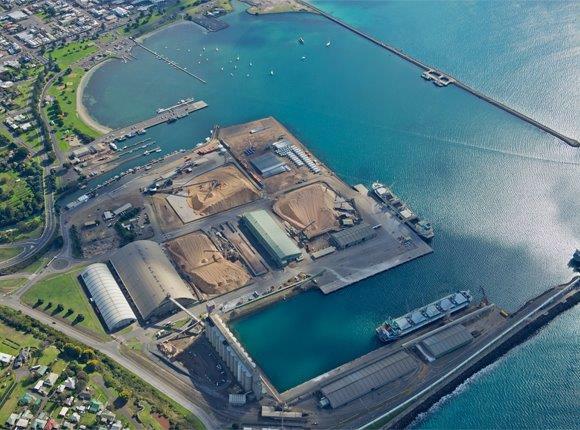 The Portland chip terminal ( open air hardwood chip and softwood chip stockpiles) are linked to ship loading facilities on Berth No 6, while the Graincorp open-air hardwood chip and undercover softwood chip stockpiles are linked to ship loading facilities on Berth No1. The bulk grain handling system is owned and operated by GrainCorp Ltd, which is responsible for receiving, storing and loading grain. The Lee Breakwater forms the northern boundary of the harbour and runs in an east west direction. It is 1179m long and its extremity is in 12.2m of water. It is open to the public but might be restricted during adverse weather conditions or for safety/security reasons when vessels are birthed on the S.L. Patterson Berth. 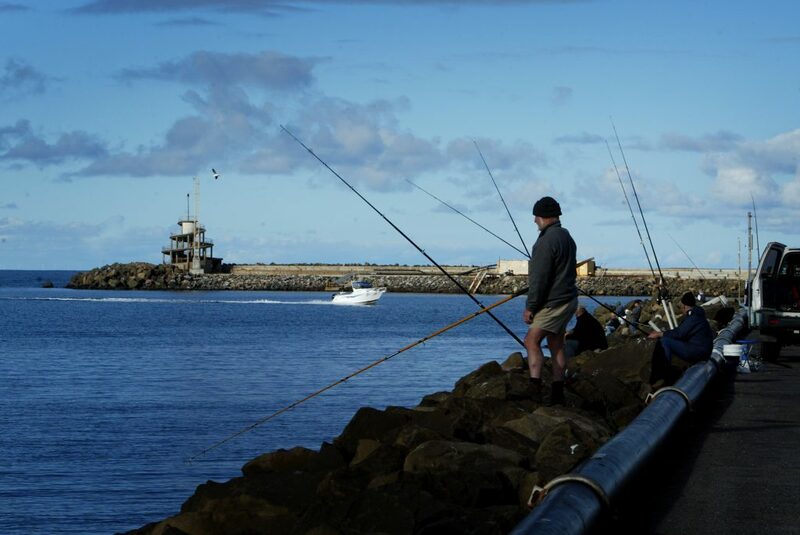 Port of Portland is delighted that the Lee Breakwater is enjoyed by many members of the angling diving and local community. The Portland Tourist Association asks that you take your rubbish back to a bin when using this facility. The Fisherman’s Wharf is located along the canal, south of the original breakwater. The wharf includes berths located on the western side of the old breakwater. It accommodates Portland’s cray fishing and charter boat fleet and is about 370 m long. The water along the wharf is about 2 m deep . Berthing of private vessels is prohibited. The Ports 300 tonne slip can accommodate vessels up to 40m long with beams of 9m. 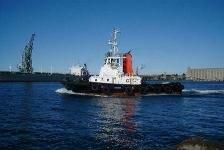 An extensive range of ship repairs and maintenance service are available on site. The facility is operated by Portland Ocean Steel. For all bookings and inquiries please call 03 5523 4858.